Opportunity To Win At APIEXPO AFRICA 2018 CONTEST! Are you desirous of sharing your Beekeeping project, initiative or findings with the world? 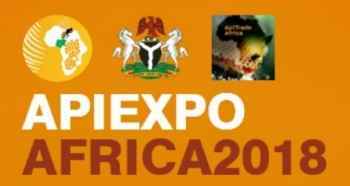 We are looking for passionate and inspiring individuals who wish to showcase their beekeeping projects, initiatives or findings during ApiExpo Africa 2018 scheduled to take place at the Abuja International Conference Centre from the 25th to 29th of September 2018. The contest will involve submission of entries in form of Videos and Pictures showcasing unique findings, bothering on beekeeping as well as other related innovative indigenous and community developments in beekeeping. 1. Best ApiExpo Africa 2018 Beekeeping video contest. 2. Best ApiExpo Africa 2018 Beekeeping picture contest. No age limit, students and young professionals are also qualified to submit entries. The information to be submitted for the contest must be your stories and lessons learnt in the field of beekeeping and related fields. Also, applicant's videos and pictures will be shared with the global audience for rating. Applicants to submit a short informal video (1-2 minutes) with self introduction and personal fIndings/ initiative. Submit original picture taken by contestant (Maximum 4 pictures) per entry. You can submit your video, text and photos by email to: apiexpoafrica18@gmail.com and copy/ cc secretariat@apiexpoafrica2018.org. Please put "ApiExpoAfricaZO18Contest entry' in the subject line. First-level selection will be based on the number of retweets, comments, post views and “likes" that your entry attracts. Final selection will be based on the quality of the entry and made to reflect diversity of speakers (gender, topic, language and region). This is an excellent way to showcase your initiative to the world and promote your work and vision!